The Air Force is on the cusp of completing a 16-month study that could serve as a blueprint for how the service will operate in the 2030s and seamlessly coordinate between air, cyber and space. All of the military services are re-organizing to better prepare multi-domain battle, which involves seamless coordination of effects and operations across the five domains of warfare. Multi-domain command and control, known as MDC2, has been a top priority for Air Force chief of staff Gen. David Goldfein since his confirmation hearing in June 2016. The Air Force for the last 16 months has been working a highly anticipated study on the subject. In fact, the team has nearly completed the multi-domain command and control (MDC2) study and will brief the Air Force’s senior leaders Nov. 27, Brig. Gen. Chance Saltzman, director of current operations and the lead on the project, said during a breakfast hosted by the Mitchell Institute for Aerospace Studies Nov. 17. Many military leaders have stressed that changes in organization, concepts and doctrine are due to the perceived threat environment of the future. The Air Force’s pursuit of MDC2 is no different. 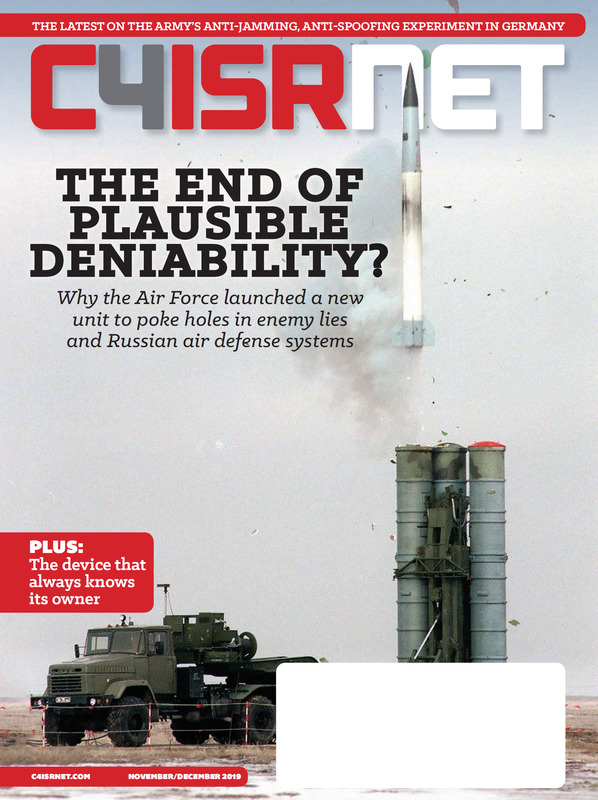 While the Air Force has been conducting operations in multiple domains for years, the threat picture in 2030 — to include anti-access area denial, anti-satellite weapons, directed energy weapons, computer network attack — is necessitating this change. Moreover, future battlefields will include urban, multi-regional, multi-domain, multi-component, joint, multi-national and will unfold at unprecedented speeds. To execute capabilities across all of the domains, there must a command and control structure that can seamlessly wield that kind of weaponry, Saltzman said. To define what multi-domain operations, Saltzman said, it’s important to define what they’re not. In short hand, he said, they’re not just operations in space and cyber enhancing the air campaign. They’re also generating offensive and defensive capabilities from those domains to create complex dilemmas for an adversary at a tempo that they can’t respond to. One of the best examples for how multi-domain operations can solve current military problems is that of suppression of enemy air defenses. In 2030, Saltzman said, the military will have the ability to conduct that mission using platform in air, space and cyber to independently generate effects form those domains to create a bigger problem form the adversary as forces move in over their territory. Lockheed Martin has been conducting wargames to help conceptualize what this might look like for both the Air Force’s and industry’s benefit in procuring solutions to get at these complex problems. The use of machine learning to pick out key targets from a synthetic aperture radar map, which normally would take several minutes for a well-trained operator to find. How will the AIr Force evolve toward these goals? Saltzman said this shift to multi-domain operations is going to take longer than two or three years as some problems still need to be thought through. One critical problem is determining what a command structure under MDC2 will look like. For example, which command would wield space and cyber and air simultaneously and make changes when they’re in contact with the adversary? How does the Air Force synchronize the battle rhythms of three combatant commanders who own these assets; space through U.S. STRATCOM, cyber through U.S. CYBERCOM, air through whatever geographic combatant commander owns the air component, Saltzman said. “That’s really what we’re trying to organize are our thoughts around how we would do this more effectively and efficiently when we have the ability to provide multi-domain capability,” he said. Once these are firmly in place, then they can begin to build in multi-domain C2 and “once we have multi-domain C2, now we’re ready to do multi-domain operations,” Saltzman said. The Air Force will also begin multi-domain wargaming. The goal is to build a wargame series that thinks outside the box for doing MDC2 using personnel from the Air Command and Staff College and Air War College as participants given they won’t be tied down by their day-to-day jobs enabling them to think more broadly than others pulled away from operational positions. Next, will be a shadow operations center that will look at agile acquisition and development operations, or DevOps. This area, particularly relevant to IT and software purchasing, will help the service stay on top of rapidly changing tech trends and leveraging commercial best practices. The Air Force is currently building a note at Nellis Air Force base to be a test platform for C2 software development, Saltzman said. Third, the Air Force will work to build a C2 workforce cadre of officers to engrain the expertise and proficiency at a career level rather than see personnel cycle in and out on short term rotations. Since the Air Force does not fight in a vacuum, Saltzman said there has been close coordination with the other services and their efforts to define multi-domain battle concepts. Following the brief to Air Force leadership, Saltzman said they’ll be going to go back to industry, think tanks and academia to explain exactly what they have in mind, where they need assistance, what they don’t know.